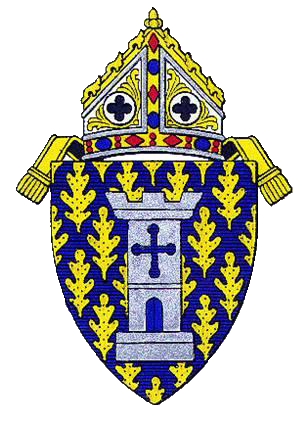 The Tribunal of the Diocese of Ogdensburg is under the direction of the Bishop of Ogdensburg and is supervised by his delegate, the Judicial Vicar also entitled Presiding Judge. Associated with the Judicial Vicar are Adjutant Judicial Vicars, Associates Judges, Defenders of the Bond, Auditors and the Office Manager. The Tribunal staff includes Reverend Douglas J. Lucia, JCL, Judicial Vicar; Garry Giroux, JCL, Adjutant Judicial Vicar; Reverend Monsignor Harry K. Snow, JCL, Adjutant Judicial Vicar; Reverend Philip T. Allen, BA, Adjutant Judicial Vicar; and Elaine G. Seymour, Moderator. The Office of Canonical Affairs serves as a resource for canonical questions. Special questions are researched. One can learn more about the Matrimonial Tribunal and the Office of Canonical Affairs and marriage nullity cases by contacting our office.